Investment in renewable energy worldwide totalled US$332 billion in 2018, breaking the $300 billion barrier for the fifth year in a row despite resembling an 8% decrease on total investment in 2017. The findings were contained in a Bloomberg New Energy Finance (BNEF) report, which highlighted problems in the solar power sector as the primary reason for the fall in investment last year. 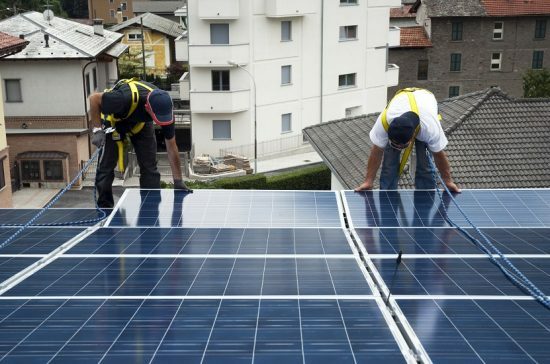 Investment in solar power declined by 24% to $130.8 billion in 2018, with BNEF citing an oversaturated solar products market following a 12% reduction in the cost of installing solar panels. Chinese investment in solar power fell by a massive 53% to $40.4 billion after the government began restricting access for new solar projects in June 2018 amid rising subsidy costs. “2018 was certainly a difficult year for many solar manufacturers, and for developers in China,” commented BNEF’s head of solar analysis Jenny Chase. “However, we estimate that global PV installations increased from 99GW in 2017 to approximately 109GW in 2018, as other countries took advantage of the technology’s fiercely improved competitiveness,” she added. Meanwhile, investment in onshore wind rose 2% to $100.8 billion and offshore wind made considerable gains around the world, with investment rising 14% to $25.7 billion.